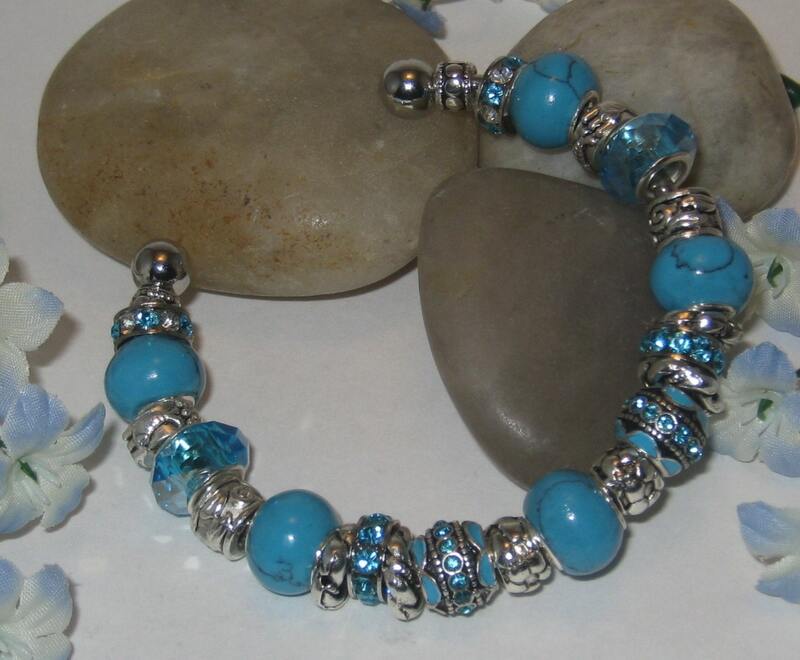 Beautiful turquoise Pandora Style beads with 925 silver grommets make up this lovely silver plated cuff bracelet. I love sparkle so I added 8 aqua blue rhinestone beads and light blue faceted beads for more bling. Silver beads spaced throughout complete the look. This bracelet is so versatile, can be worn with a beautiful dress or with blue jeans! It's up to you. It also makes a wonderful gift - Christmas is just around the corner! 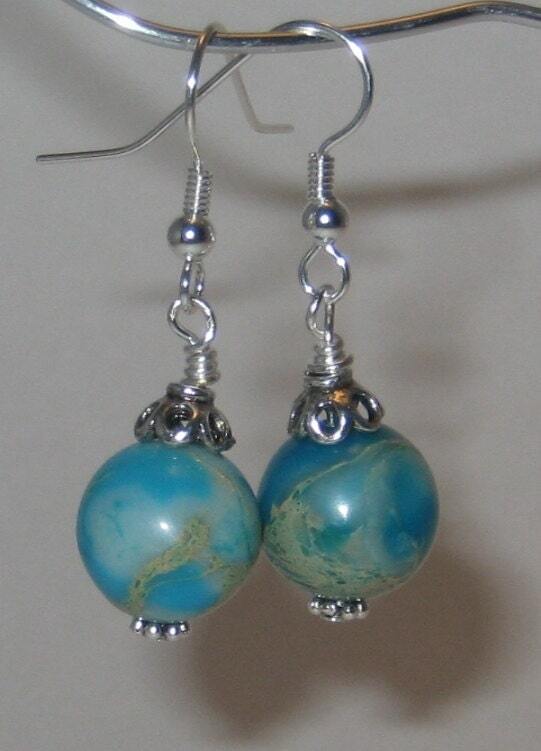 These simple earrings are made from 12mm serpentine jasper aqua beads surrounded by antiqued silver bead caps. Their simplicity adds to their charm and they make a perfect compliment to the turquoise bracelet. They measure 1 1/2 inches in length. I have been wanting to make this set for a while and am so happy with how they turned out. Let me know what you think!